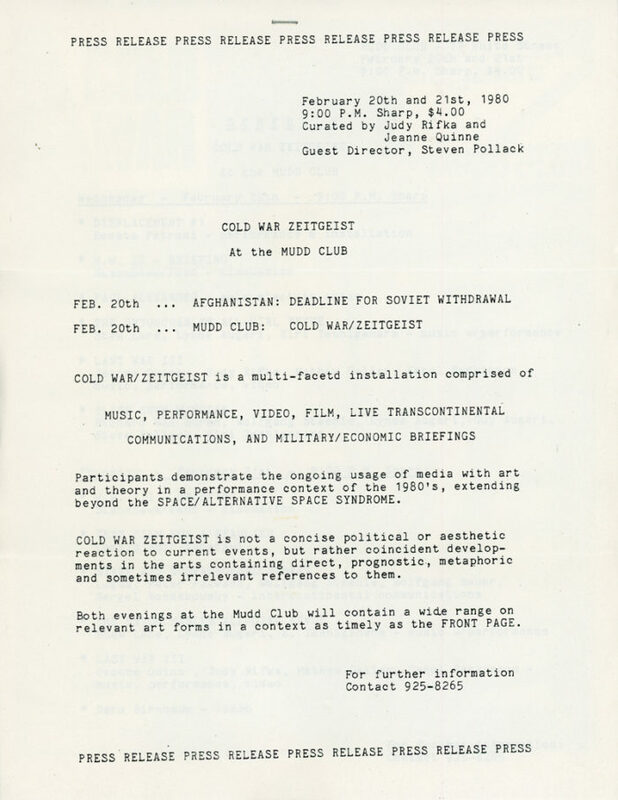 3-Page Press release for Cold War Zeitgeist, a multi-faceted installation curated by Judy Rifka and Jeanne Quinne at The Mudd Club, 1980. 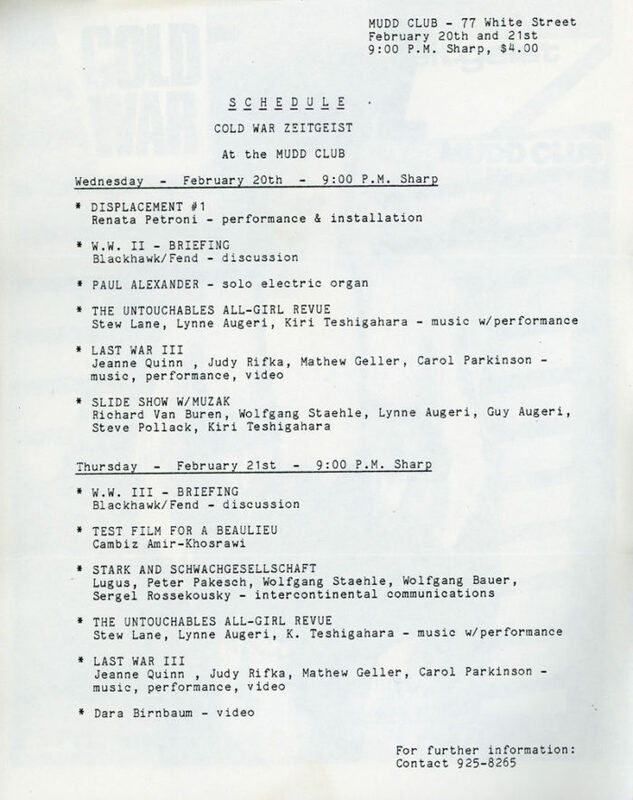 Includes schedule of the event and flyer. 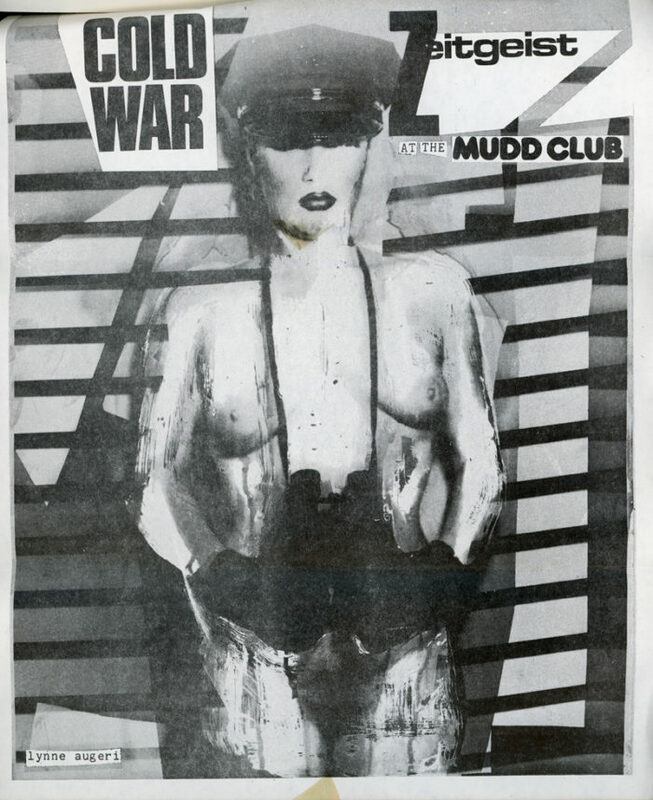 Three pages are stapled together.